Following hot on the heels of the bestselling Yorkshire Passport comes this quirky and humorous quiz book. How Yorkshire Are You? 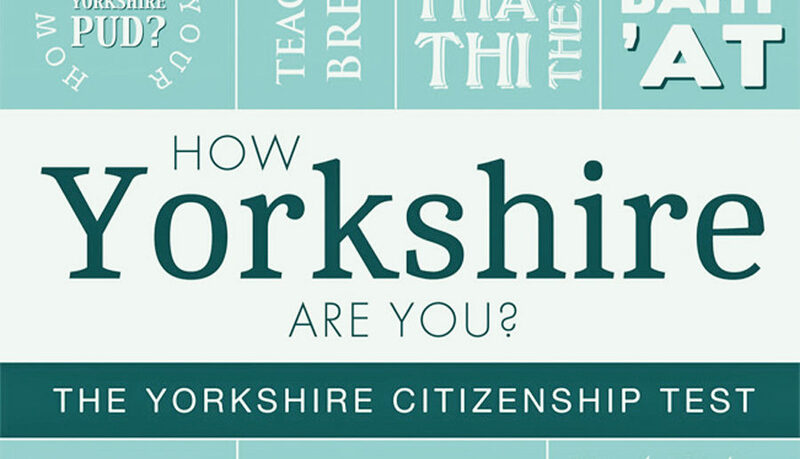 : The Yorkshire Citizenship Test is packed with trivia about Yorkshire people, places, food, customs, inventions and more. Both born-and-bred Tykes and offcumdens can rate their Yorkshireness with this entertaining gift book. As well as testing their knowledge of the county, readers are also assessed on other Yorkshire traits such as frugality, tea brewing and pudding making. At the back there’s even an official Certificate of Yorkshireness for anyone who successfully completes the test.